Tungnath (3,680 metres, approximately) is a Hindu temple dedicated to Lord Shiva located in the Rudraprayag district of Uttarakhand. 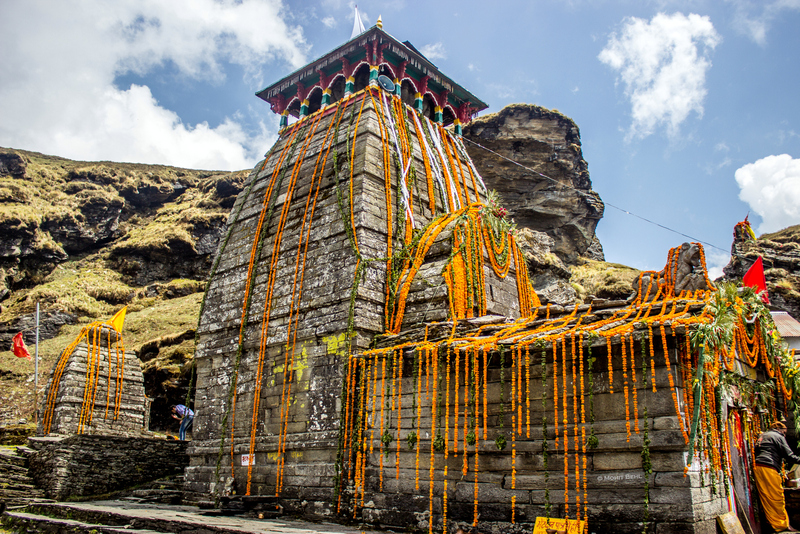 It is the believed to be the Highest Shiva Temple in the world, and the Third Kedar to be visited, in case you are staying true to the sequence of the Panch Kedar circuit. The other four being Kedarnath, Madhmaheshwar, Rudranath, and Kalpeshwar. The trek to Tungnath starts from Chopta. And the road is more or less well-maintained except for a few patches that fall under the landslide zone. That being said, you should know that all the local buses take their own sweet time and multiple halts. If you opt for the Uttarakhand State Transport bus, it will drop you at Rudraprayag. After this, there is no other choice but to board a local bus or a shared taxi. It should cost one person INR 700-800, Haridwar to Haridwar. From Chopta to Tungnath, it is gradual yet easy ascent. The path is paved and straight forward. After Tungnath, the paved path ends and gives way to a broken trail. It is slightly steeper and a little more challenging. If you start early, you can easily return to Chopta by the evening. You don’t need a guide unless you are trekking in the harsh winter when the snow nearly covers the entire path, making it riskier to make way on your own. The Last Stretch to Tungnath. If budget is not a constraint, you can also go for luxury, semi-luxury camps, and a few small guest houses and resorts. Nowhere else on any trek do you get to see most of the prominent peaks of the Indian Himalaya, all at once: left, right and centre, and up, close and personal. And this is just while trekking from Chopta to Tungnath. Once you set foot on the summit of Chandrashila, a whole new world of the Himalaya opens up on the north-eastern skyline. Himalaya as seen from Chandrashila. Himalaya as seen from Chadrashila.